Volunteering with VCPORA is an excellent opportunity to be part of making a difference for the preservation of the French quarter and its residents and visitors. Throughout the year we offer volunteer opportunities with events and education programs. 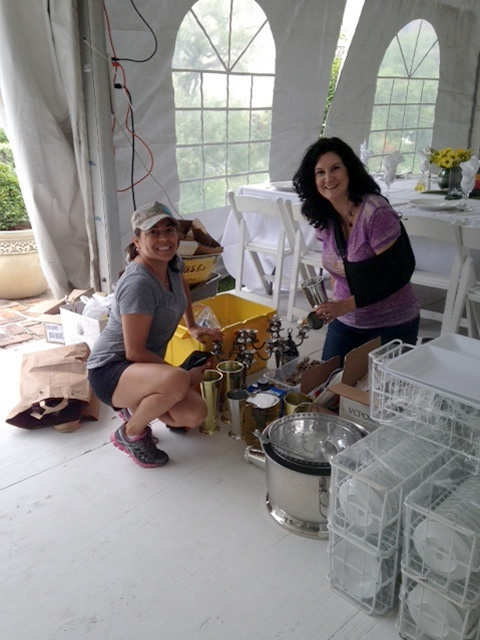 We especially invite you to volunteer during our annual Gala in September each year. Additionally, we invite volunteers to assist with our advocacy, marketing and public relations efforts, as well as administrative tasks at our office, 816 N. Rampart St. New Orleans, LA. Many volunteer opportunities are available at all skill levels. To do meaningful and satisfying work. To be carefully assigned to projects which meet your interests, skills and needs. To be oriented to the agency – its mission, goals, staff, activities, and policies. To be trained appropriately for your volunteer assignment. To receive supervision and guidance throughout your volunteer experience. To voice your opinion and have input into program planning and implementation. To be treated as a valuable member of VCPORA. To have your service hours documented (certificate or letter) upon request. To participate in volunteer work with enthusiasm and commitment. To be open and honest with VCPORA about your expectations and abilities. To agree to do only what you are qualified to competently handle and realistically accomplish. To participate in the intake and orientation process (application, paperwork, training, etc.). To maintain confidentiality and privacy with regards to agency information, clients, and personnel. To fulfill time and task commitments. To provide timely and constructive feedback to VCPORA if necessary. To be comfortable saying “no” if necessary. To remember that you represent VCPORA to the greater community. To learn from your volunteer experience. Please list any additional interests, skills, talents or hobbies. Please state any restrictions about which you think we should be aware.